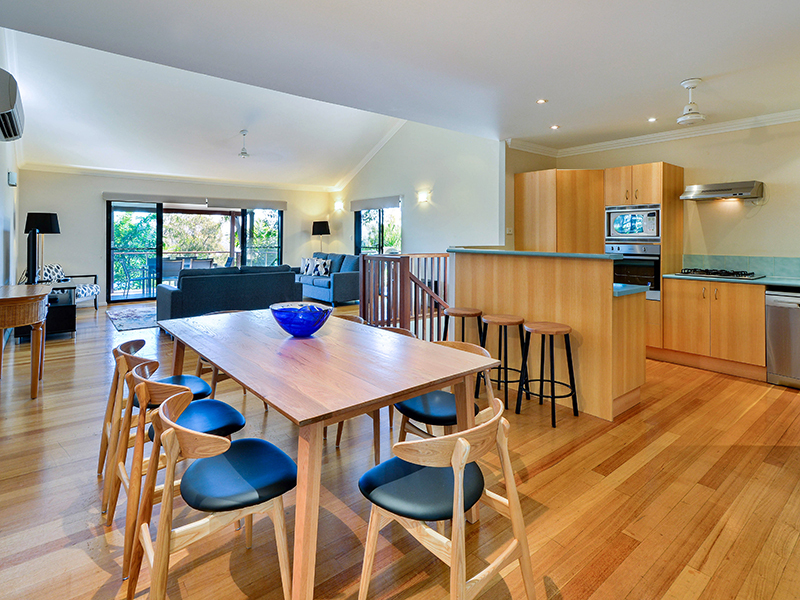 Bright and spacious with beautiful views. 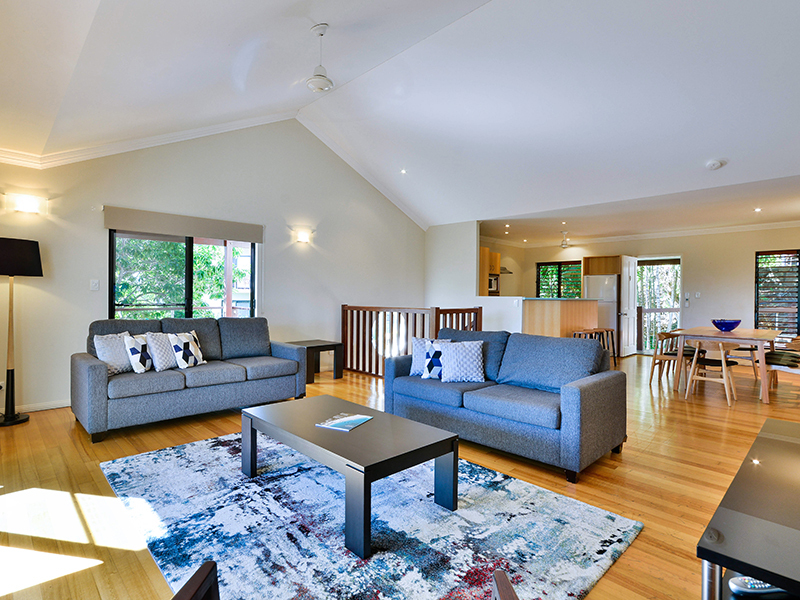 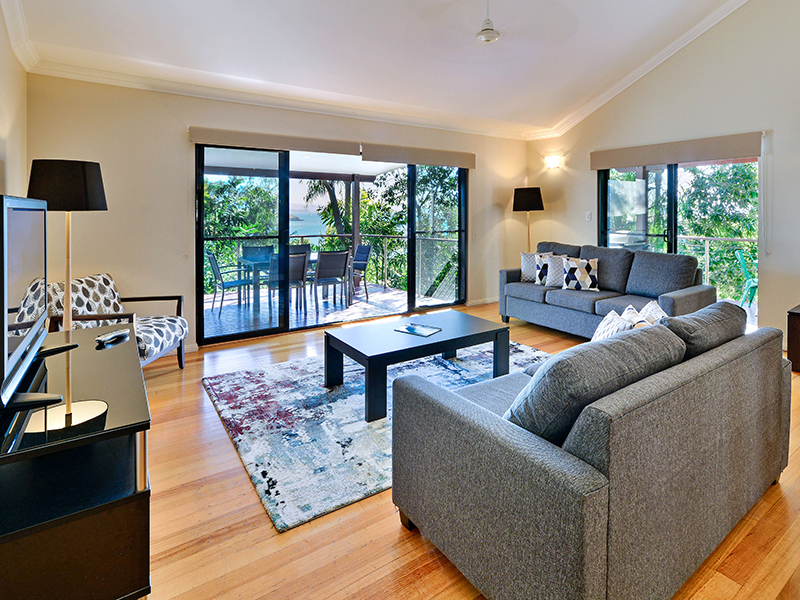 Set over two levels, this light-filled apartment is ideal for families. 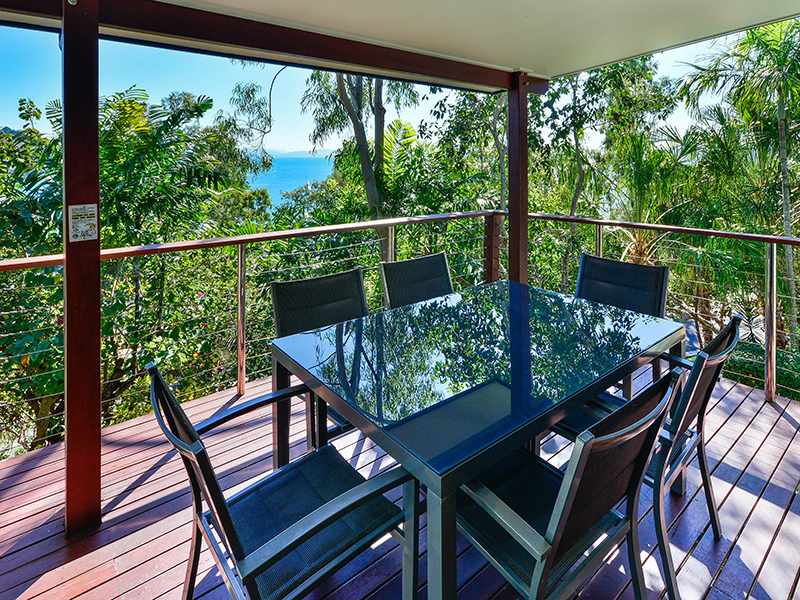 It offers memorable views over Dent Passage, a large entertaining deck, and a great location near Front Street. 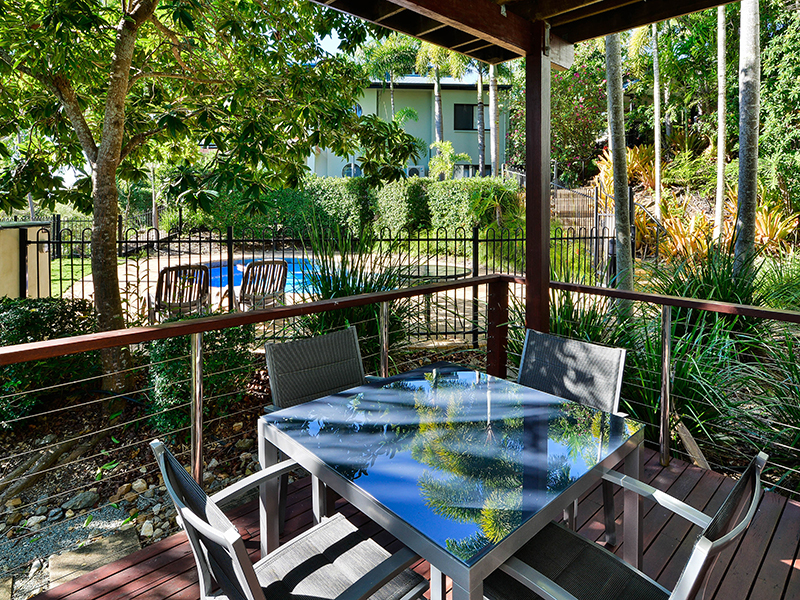 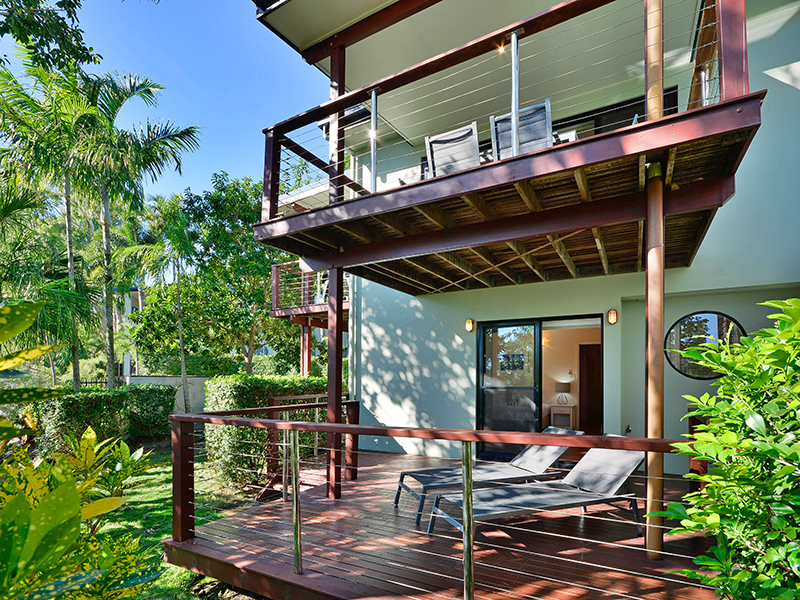 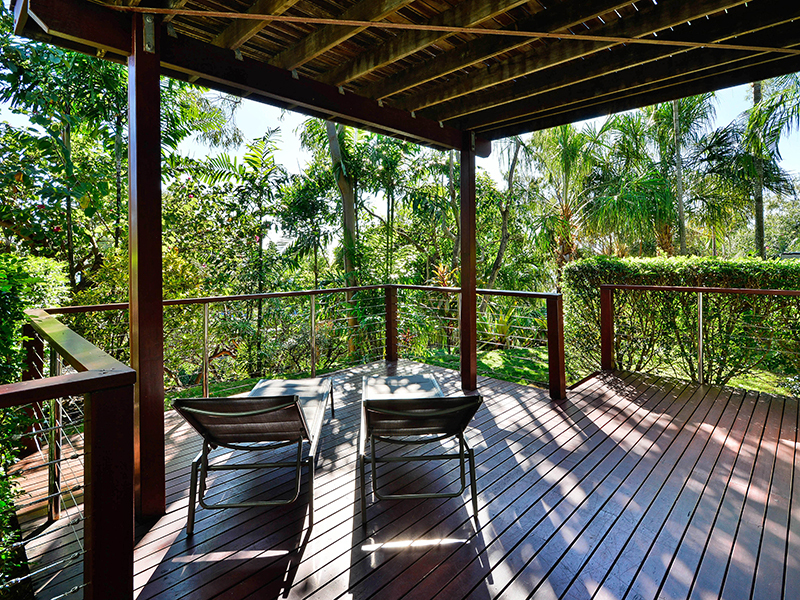 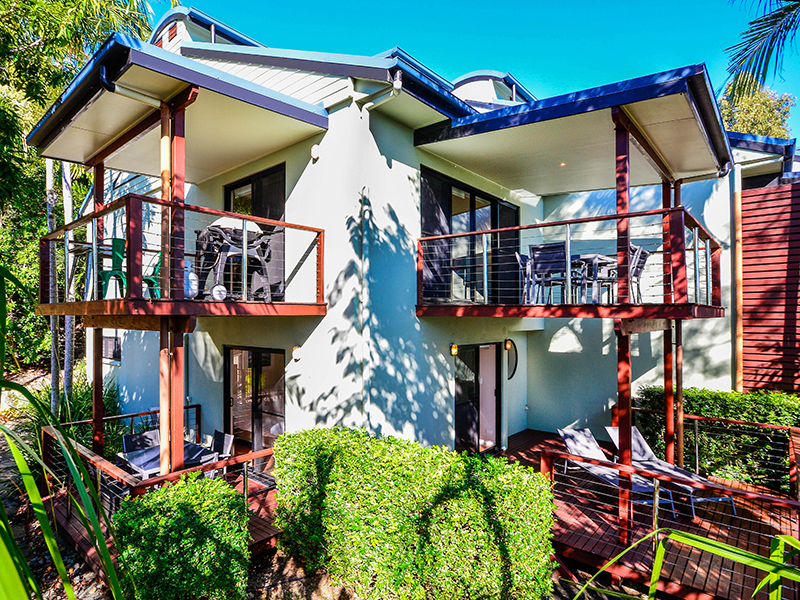 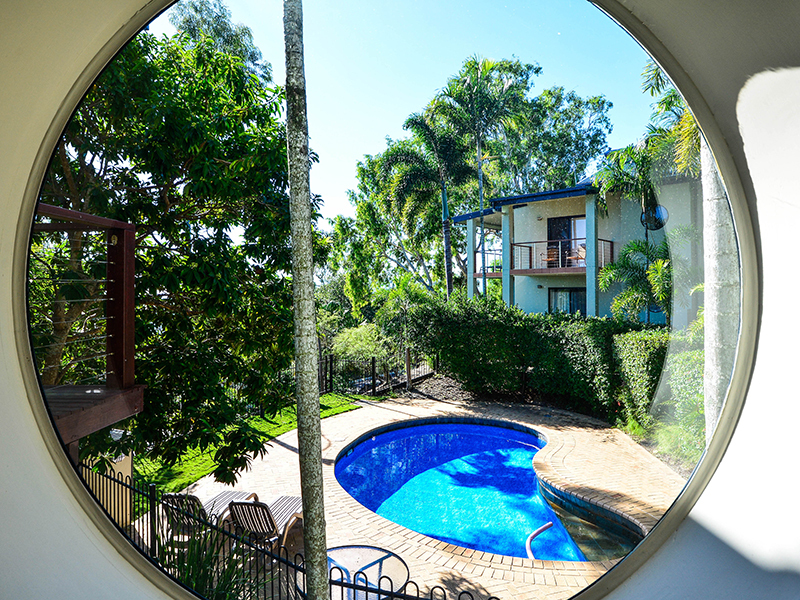 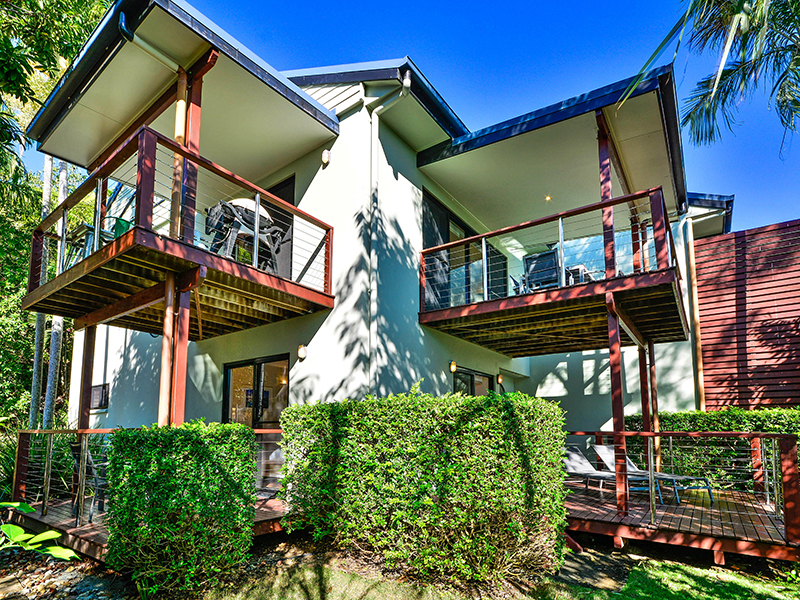 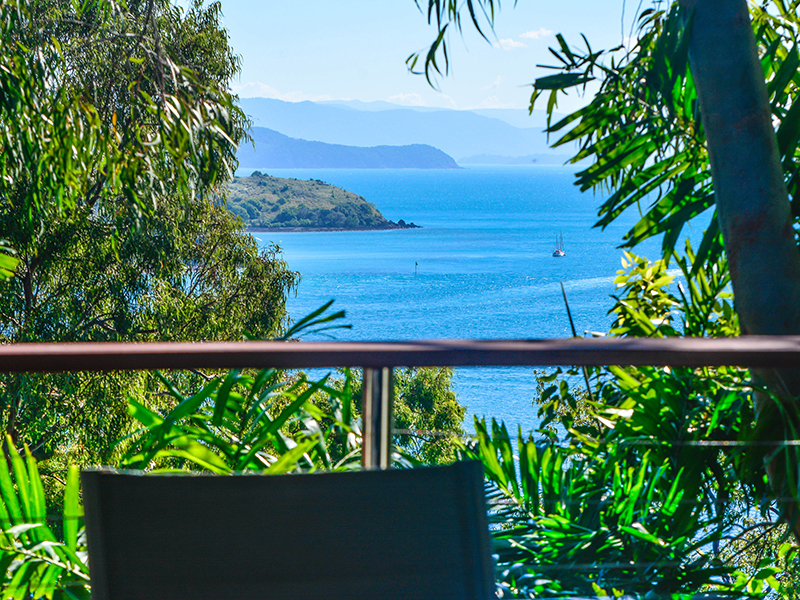 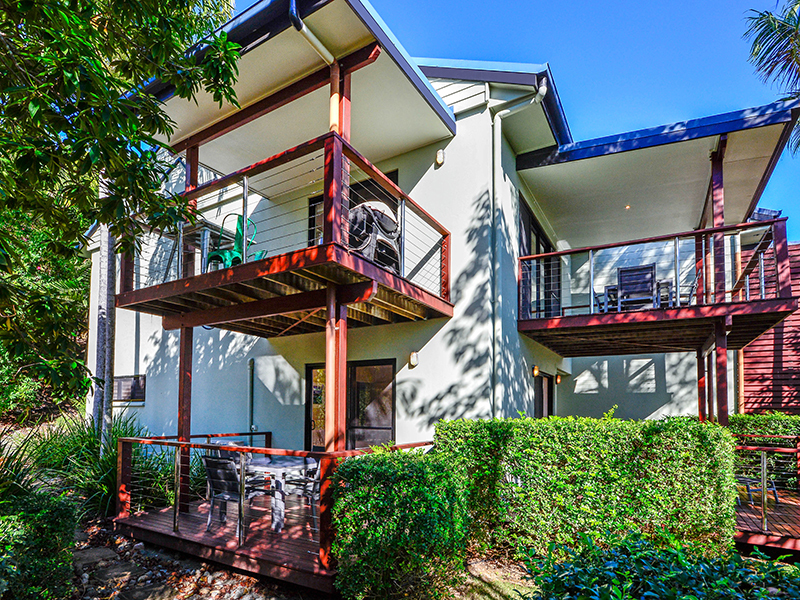 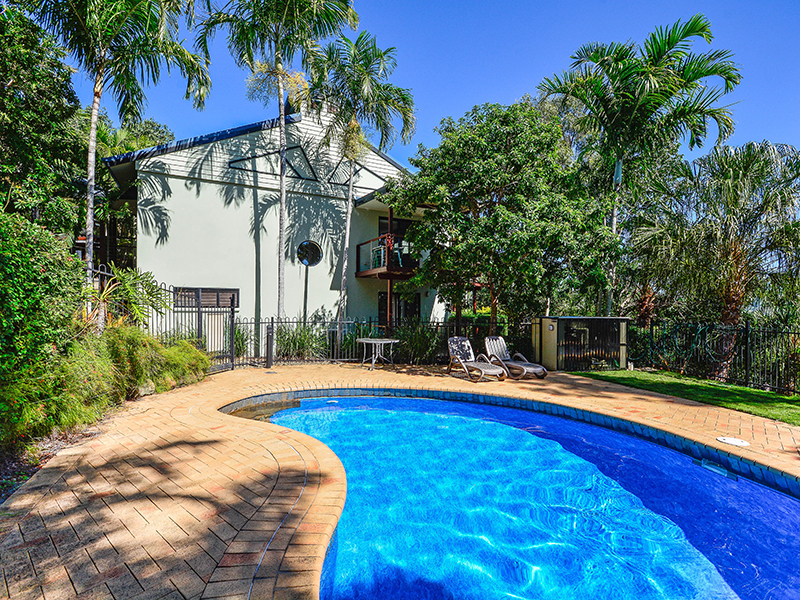 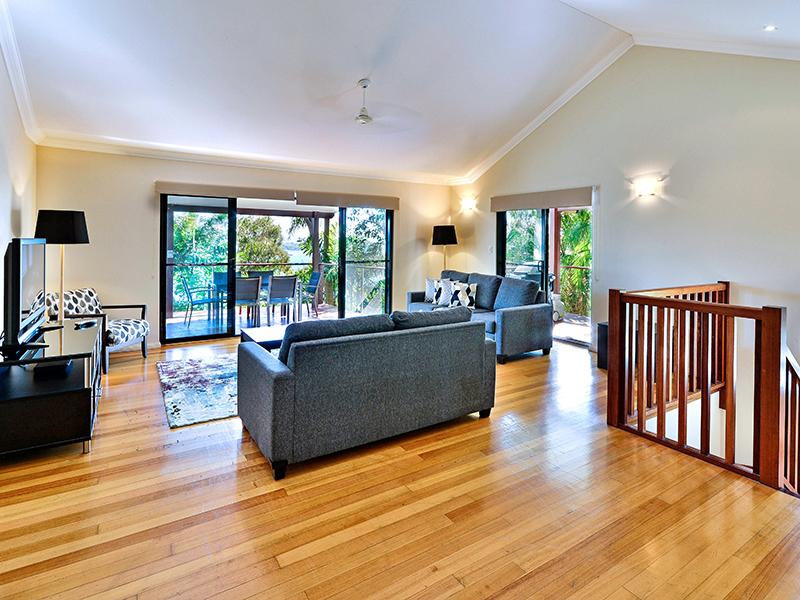 From your breezy balcony, you can enjoy lovely views of Dent Passage to the Hamilton Island Golf Course. 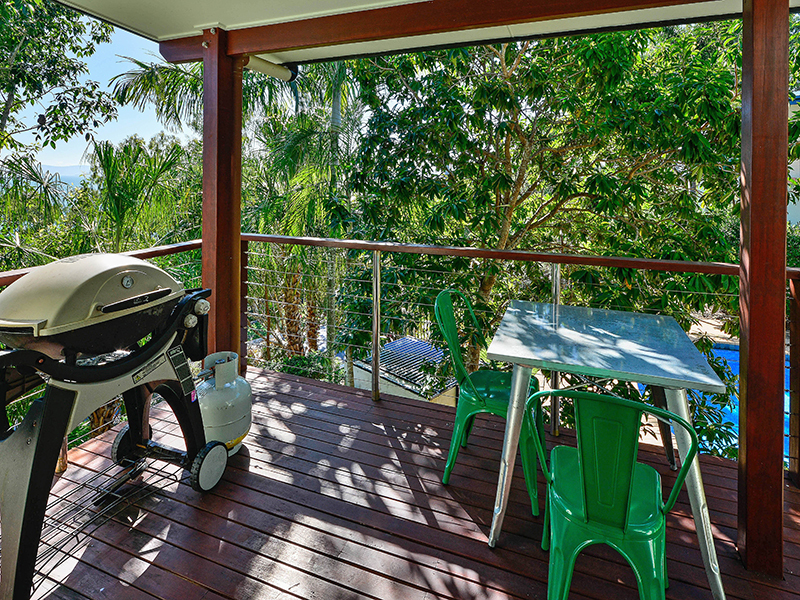 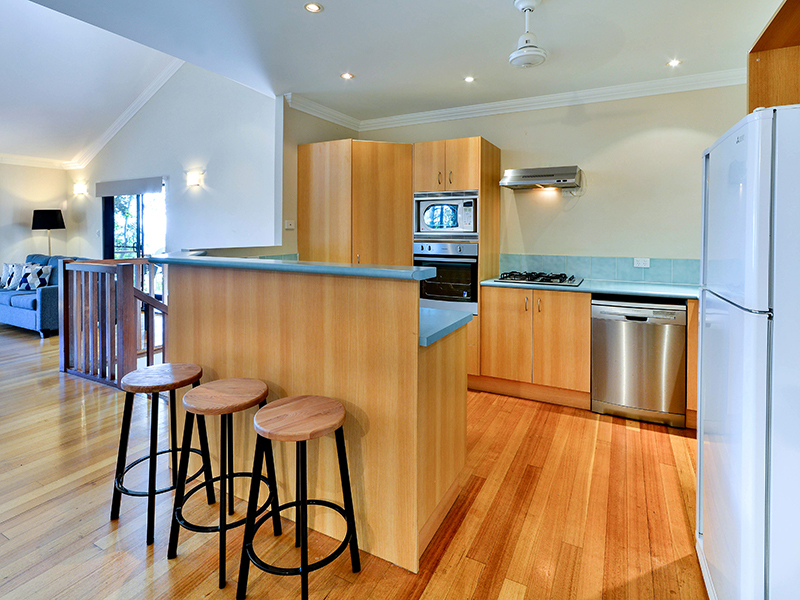 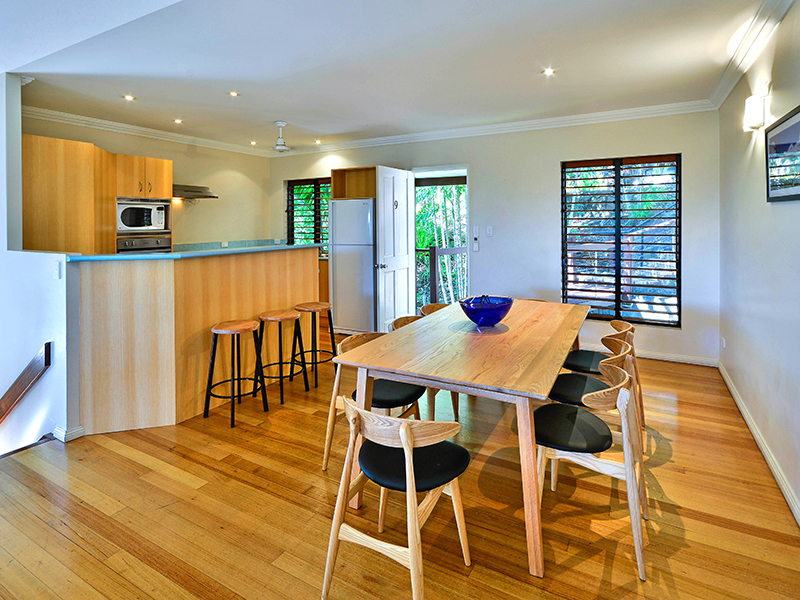 There are several balconies, including a large entertaining deck with a BBQ and outdoor seating for six people. 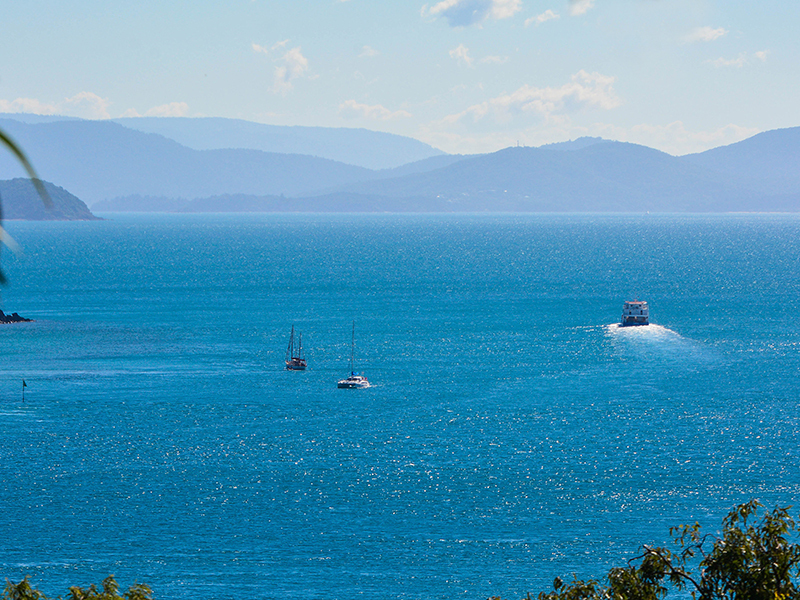 Situated on the western side of the island, you're just a short walk down the hill to all the cafes and restaurants on Front Street. 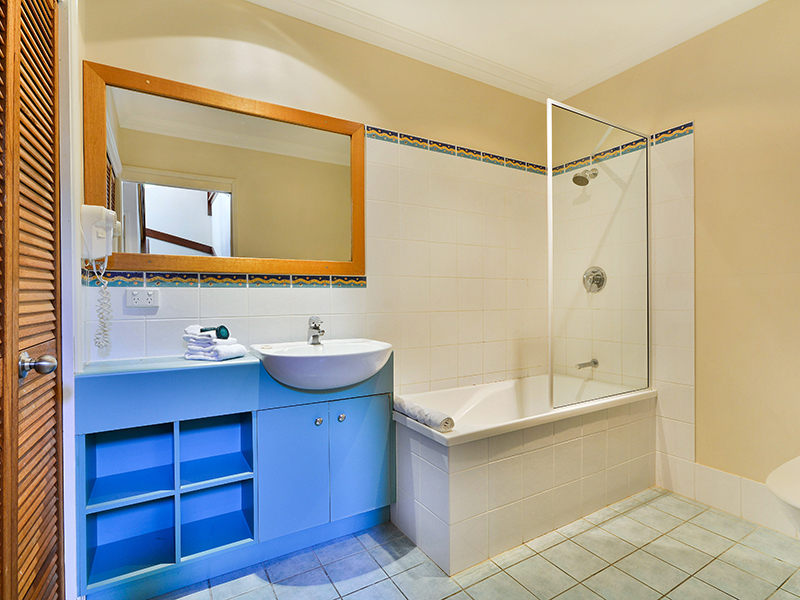 With three bedrooms this apartment is ideal for families. 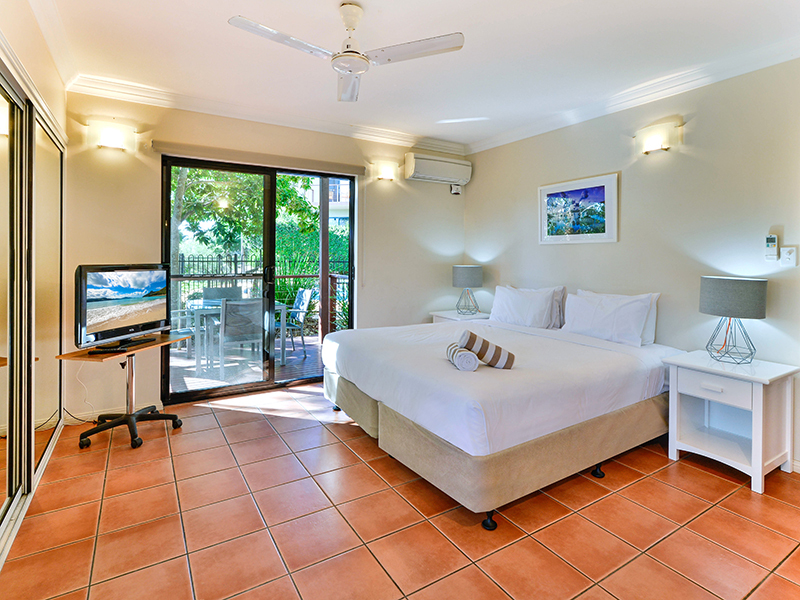 The bedrooms are also on a separate level to the living area - which is ideal for smaller children. 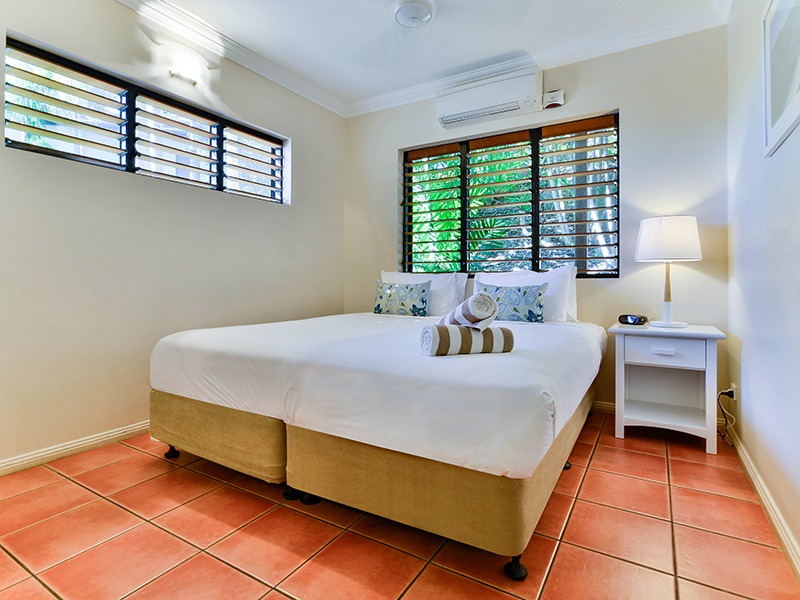 The master bedroom features a flat screen TV, mirrored robes, air-conditioning, ceiling fan, two very private undercover balconies and an ensuite shower room with walk-in shower. 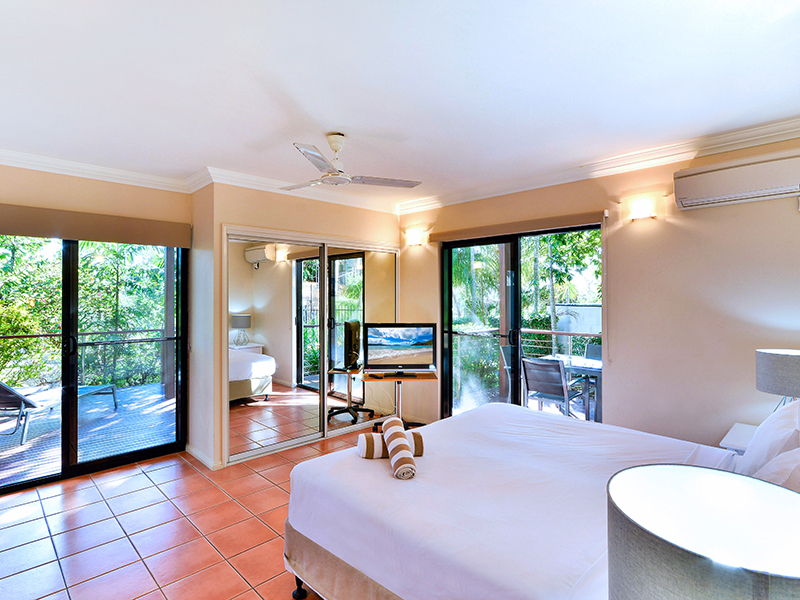 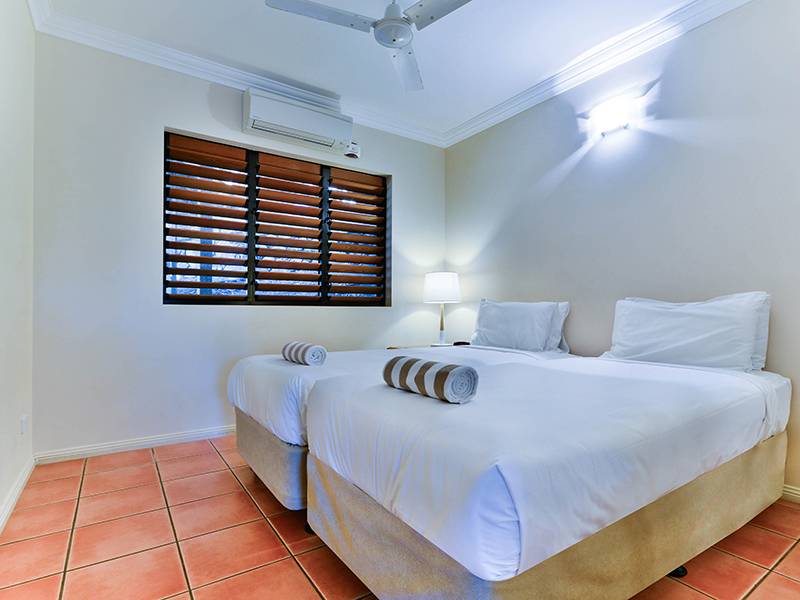 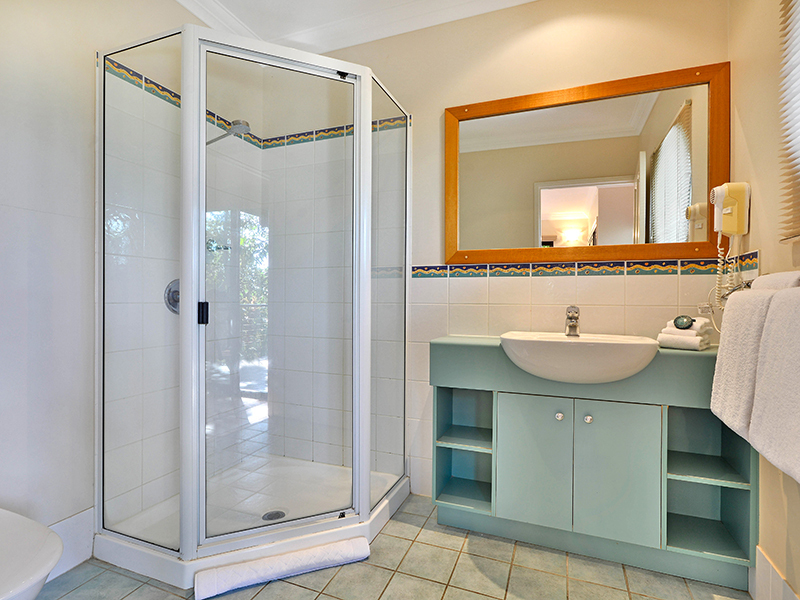 The second and third bedrooms are both of a good size both with mirrored robes, fans and air-conditioning.